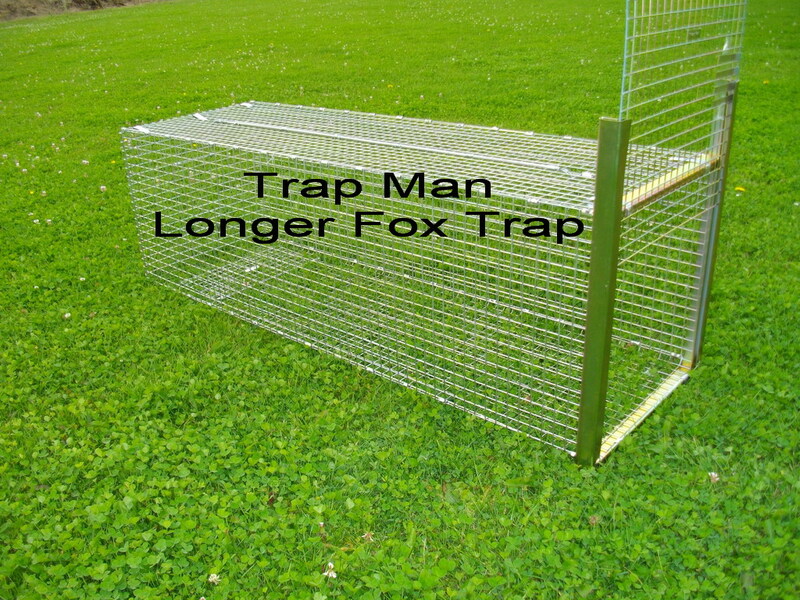 The Trap Man Live catch fox traps are often seen as the only humane solution to problems of urban foxes and other nuisance animals. 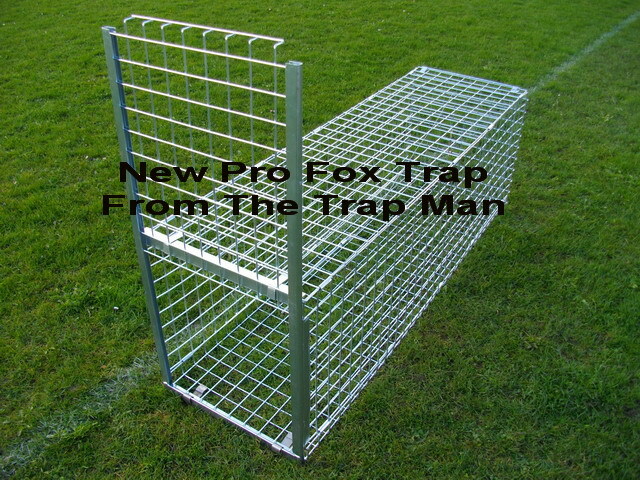 There are many types of fox trap on the market but all work on a similar basis. 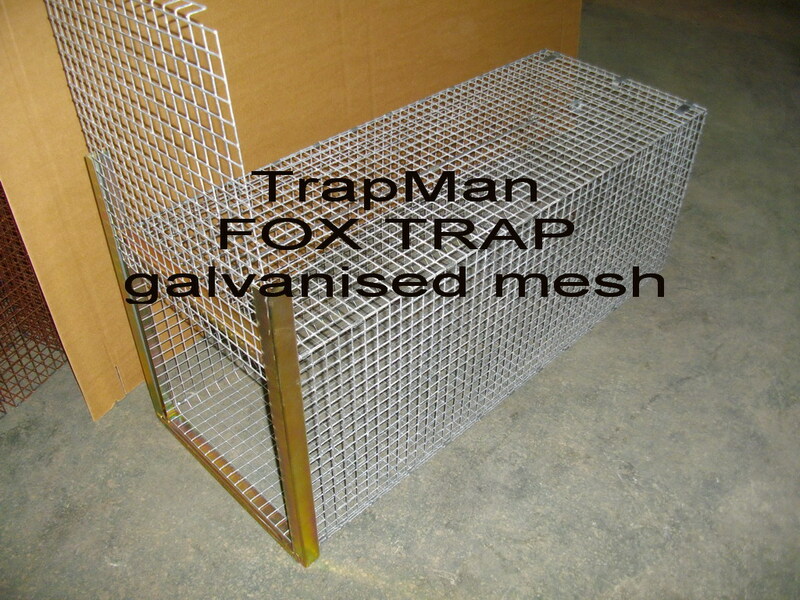 The Trap Man Live catch fox cage traps are baited, the fox will enter the trap to get at the bait, and it will either tread on a trigger plate or by pulling at the bait, release a pin which in turn triggers a door. One advantage of fox cage trapping is that it allows non-target species such as pet dogs and cats to be released unharmed. 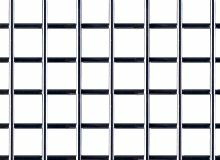 Pull bait operated free fall wire mesh door. 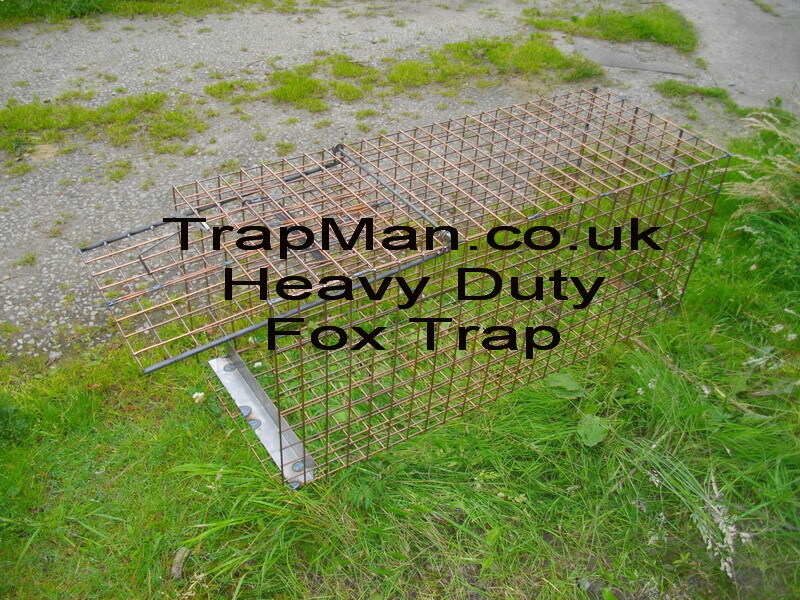 Fox Trap is supplied flat packed for ease of delivery, unfolds like a cardboard box. Fix end panel and slide assembly using metal clips provided (instructions provided, approx. assembly time 10mins) You will require a pair of pliers to close the clips. Door slide assembly is not painted or galvanized. 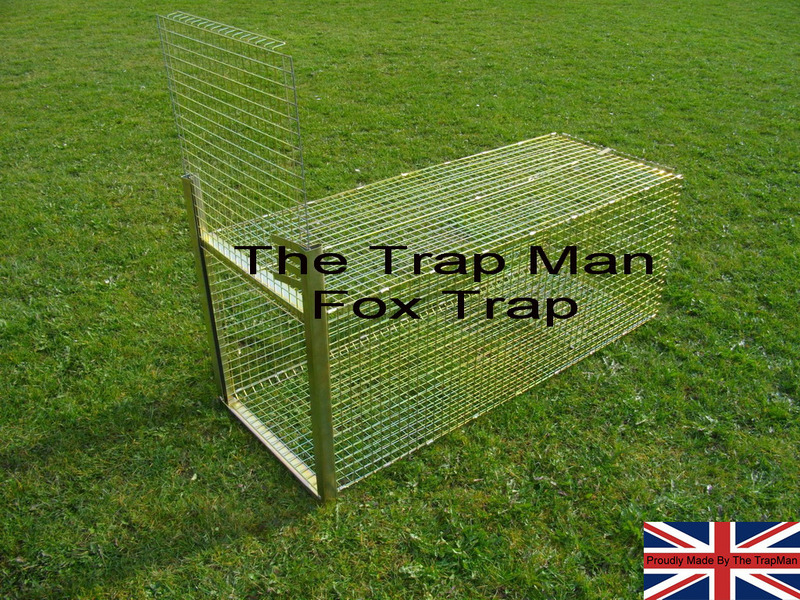 Wire treadle plate is a no cost option included with this fox trap ! If you think you have a fox problem, it is essential to ensure that it really is a fox that is the culprit. Cats, dogs, and squirrels are frequent scavengers of dustbins and plastic refuse sacks, and damage to lawns is often caused by birds. Some problems will solve themselves in the course of time. For example, a litter of fox cubs will disperse as summer progresses irrespective of any action taken. Trapping does solve the problem temporarily as other foxes from surrounding areas quickly move into the vacant territory and replace the animal that has been removed. Foxes are rather nervous animals and generally fearful of people. They take every opportunity to avoid humans. It is inconceivable that a healthy fox would attack an adult or child unless cornered and an attempt was made to grab it. Foxes eat a variety of food including fruit, earth worms, insects, small mammals, such as mice, birds, rabbits, and scavenged food. Although there are cases of attacking cats this is extremely rare indeed. One problem that is prevalent in the months of June and July are young cubs that dig up areas of the lawn. Most are looking for leather jackets, grubs or lava. Alternatively, if you have placed a fish, blood or bone meal based fertilizer on your lawn the foxes will be attracted to this since its smells like buried food and thus encourages them to dig. Both foxes and cats are active at night and meetings between the two are probably a nightly occurrence. Observations of such meetings show that for the most part they either ignore each other or else the foxes are nervous of the cats. Foxes will attack pets such as rabbits or guinea pigs and also poultry. The best way of preventing this is to ensure that the livestock is housed in secure hutches and coops. 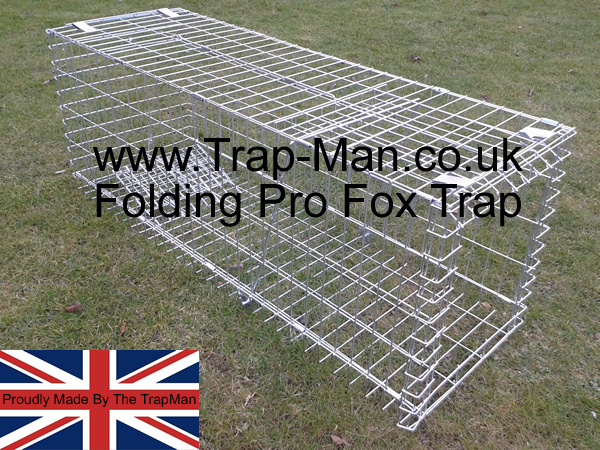 Small Dog Trap / Fox Trap 48"x19"x18"
Foxes can carry a number of diseases such as mange, rabies and parasitic worms such as Trichinella and Toxocara. Whilst it is possible for man to contract these conditions it is not known whether foxes do actually pass them on to people or their pets and if they do, how serious a problem is it. The size of the fox population in a town is held in natural balance by the foxes own system of spacing themselves in territories. On the other hand when a fox is diseased or injured, then there is a good argument for its humane destruction. Foxes can be persuaded to move from your garden although none of these suggested methods are guaranteed. If the fox is merely a visitor to your garden you should remove or protect whatever is attracting them; food from a bird table, domestic refuse, strawberry beds etc. Access routes should be blocked, but fencing off an entire garden is usually impracticable since the fence needs to be at least 2 metres (6ft tall) with no gaps in or under it. Just to let you know the multi-catch mouse traps and wind up mouse trap are still catching well. We're looking forward to the results we're going to get from the family catch rat traps and folding fox trap. 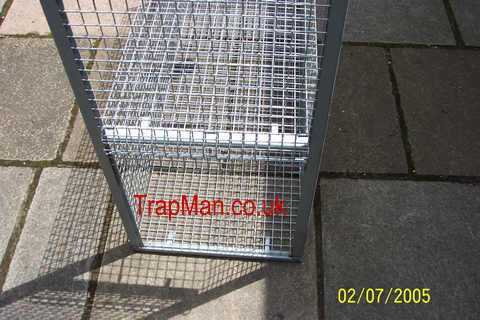 Your service is second to none and trap build quality is excellent. can you let us know as soon as you have more wind up mouse traps available. Buying from you again soon! Mark Atkinson & Simon Shipley. Fox Trap To Catch Runaway Springer. Just a quick email to let you know your trap worked a treat and I followed your advice on setting it,and I also set the trap with the door downwind so she would follow the scent coming out of the entrance. Teasle is back home safe and sound and trap worked overnight in less than 11 hours.